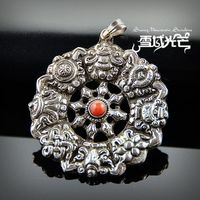 Handmade 925 Silver Tibetan Buddhist Symbols Pendant. 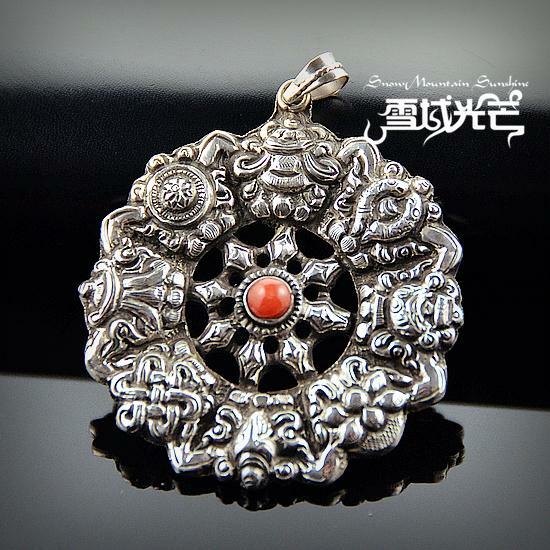 This Tibetan buddhist symbols pendant was handmade from sterling silver, and red coral. 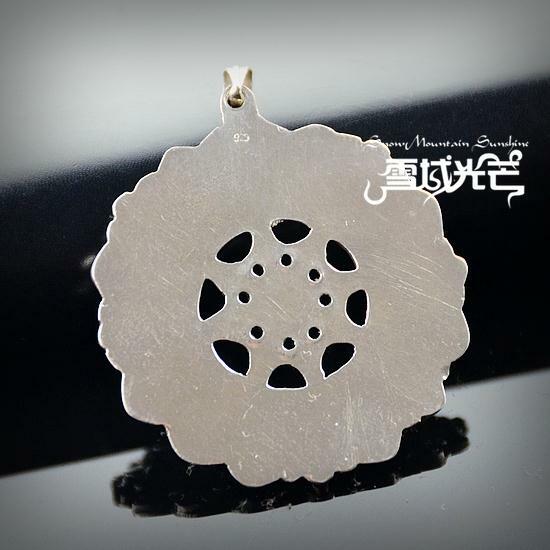 The size of the pendant is 45*41*5.5mm. Weight: 11.5g.